Earn revenue on your parked pages with Google AdSense for domains. With AdSense for domains, users can find relevant information rather than see empty pages or "page not found" errors. To ensure positive user experience and the quality of our network, these sites are monitored for policy compliance and prohibited from using text and images designed to confuse users. To get started, first sign in to your AdSense account and visit the AdSense Setup tab. 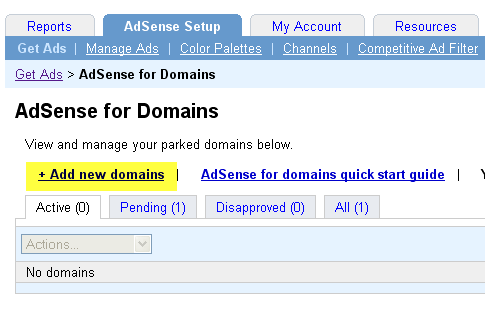 Then, choose AdSense for domains as the product to begin setting up your domains. Click the + Add new domains link, which will take you to the Add Parked Domains page. You can add domains to your account in one of two ways: by adding them into the text box line-by-line or by uploading a CSV spreadsheet. 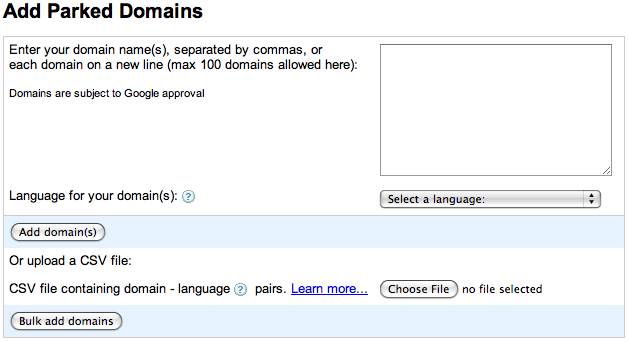 Remember to specify the language of your domains as well, and note that you can upload a maximum of 1500 domains. If you prefer not to delegate your nameservers to Google, you can still display Google ads on your domains by updating your domains' A records and CNAME. You may want to choose this option if you want to receive email for your parked domain, or if you have special requirements for subdomains within your parked domain. Note: Please be sure that these four A records are the only existing A records for your domain. We'll start serving ads to traffic that comes to your site as soon as the records validate (usually less than 24 hours). Now you will see settings you need to change on your domain registrar. The succeeding step on this tutorial direct you if you have domains on Godaddy need to have adsense placed. 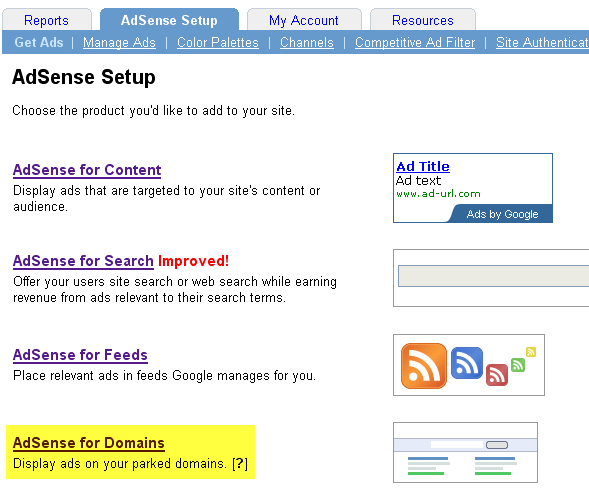 Setting in your adsense account for “Adsense for Domains” is finished here. We just need to wait for google to verify and approved our domain listed. don't wait hurry up and don't hesitate to contact us if you need any help.